Hi and welcome to Mind The Robot! I decided to start this blog for three reasons. 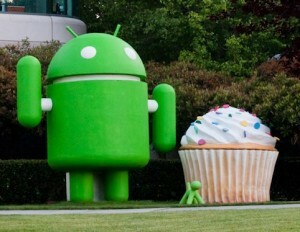 First, I just loved Android when I started learning it. In many years, it was the first technology that really inspired me. And if you’re inspired, you have to do something about it. Second, I felt there were plenty of sources to read about the Android platform if you wanted consumer or “geek” level information. Yet there are not so many blogs or magazines that dig into the greasy guts of the green robot – the stuff for developers, including topics such as good application architecture, correct resource management within the restricted mobile environment, doing things that the API designers did not expect you to do and so on. I felt I could share some experience that I had in all that. I would also like MTR to be a stage for others to have a say too. Third, I’m just into writing. You decide how good I am at it. My name is Ivan Memruk. I have been working in the software industry for about 8 years, starting at a part-time position back when I was a university freshman. After that I worked in various roles, as a developer and as a team manager, making products for numerous platforms (but mostly related to Java) and doing other kinds of stuff such as supporting customers, presenting information to people, making project plans and, of course, writing code. Right now I am an employee of Lohika. By the way, this blog is strictly personal and is not endorsed by my employer. You can learn more about my professional side if you have a look at my linkedin profile. Feel free to connect! Besides all that, I am also fond of dogs, professional boxing, good European wine and social sciences. I am married and living happily in Odessa, Ukraine.